For most people with active lifestyles a backpack is the only option to carry your essentials. However, when you're out all day site seeing, or biking or hiking, carrying a cumbersome backpack around for hours becomes very uncomfortable. Retrieving your essentials is also another hassle entirely. Our solution, create a new type of sling pack that would function similar to that of a backpack but with a revolutionary front pocket design providing immediate access to your essentials while on the go. Including an ergonomic design so form-fitting and light that could be worn all day comfortably allowing you to easily transition from one activity to the next. Provides maximum security and stability. The side-loop carabineer easily clips to any pant loop, anchoring the sling for added security. 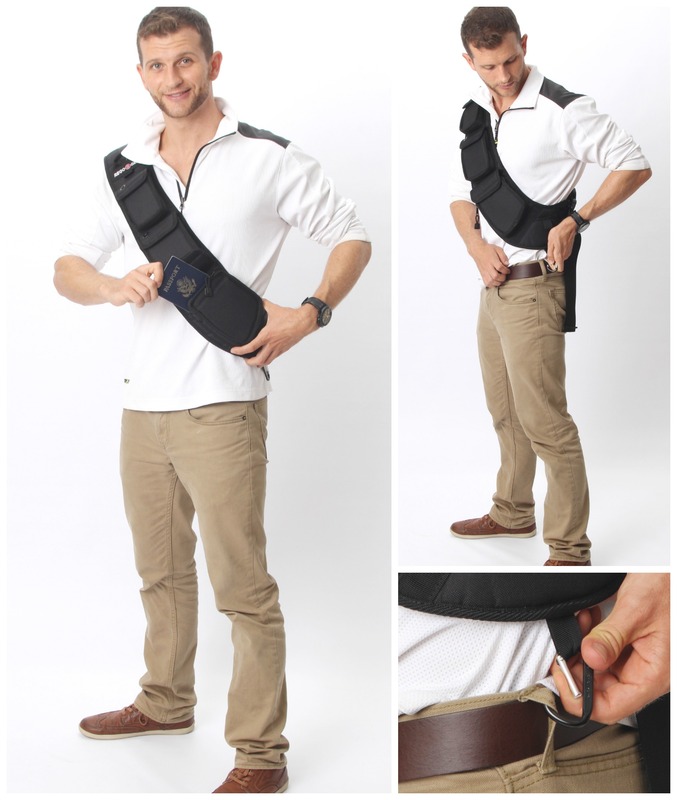 Front pocket design deter pickpockets while providng immediate access to your essentials.